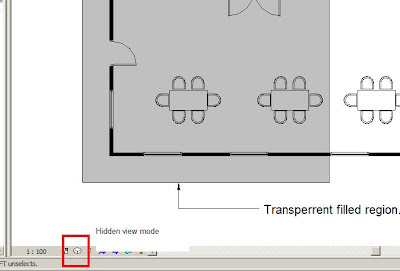 Revit Fix: Transparent filled region and wire frame view mode. Transparent filled region and wire frame view mode. Yet another glitch to add to transparent filled regions. 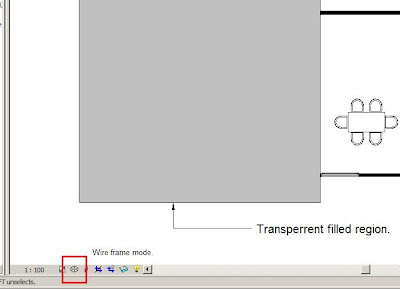 You would expect if a transparent filled region was transparent in the hidden view mode, you would expect it to be transparent in wire frame mode. Well no. It’s as obscure as it can be. The same problem is in the current build of Revit 2009.